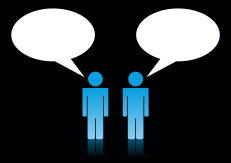 How to Start a Conversation When Writing Online Writing Assistance, Inc. If you’re writing for the online market, it can seem as though no one is listening. You post something and you wait. You wait for responses and comments, but, often, this may not occur. As a writer, you want to get feedback on what you’ve said, but how can you start a conversation that actually goes somewhere? Be provocative – While it’s not ethical to post something that isn’t true or that is written just for the shock value, you do want to write something that makes the reader sit up and take notice. When you do, you will start a dialogue that makes a reader want to speak up. Ask for feedback/questions – At the end of a blog or an article, you can always ask for comments. While this doesn’t mean you will get any responses, it can open the door for future conversations. You might want to get some friends to start the commenting process, and then see if the conversation takes off. Respond to past reader comments – No one wants to speak up if they don’t think they’re being heard too. If you get comments on your blogs or articles, make sure you respond to them. You don’t want to get into arguments with your readers, so focus on correcting facts and being grateful for all opinions, even if you don’t agree. The more you invite conversations, the more they will happen. And that is what leads to feedback and engagement wherever you are. You don’t have to feel so alone online. What are some techniques you use to get the conversation started and keep it going? Please leave a comment.